Dr. Edward Maurice Mack is a graduate of the University of Michigan’s Graduate Endodontic Program. 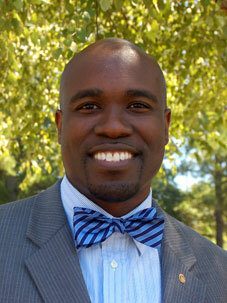 Among his many accomplishments, he is a 2001 graduate of Meharry Medical College of Dentistry. Upon completion of dental school he served his country by joining the Army. While in the army he demonstrated mental toughness by completing airborne training at Fort Benning, GA. He also served as a brigade dentist in Baghdad, Iraq for the 82nd Airborne Division. During his assignment in Iraq, Dr. Mack was awarded the Combat Medical Badge and the Army Commendation Medal. Presently, Dr. Mack is a board certified, practicing endodontist in Memphis, TN. He treats patients in the area of endodontics and endodontic related surgeries. He is a member of the American Association of Endodontics, Shelby County Dental Society and the American Board of Endodontics. Dr. Mack has a strong concern for improving the mental and physical health of others. His qualities of kindness, attentiveness, determination, and deep religious convictions all contribute to Dr. Mack being a tremendous asset to the Memphis community.